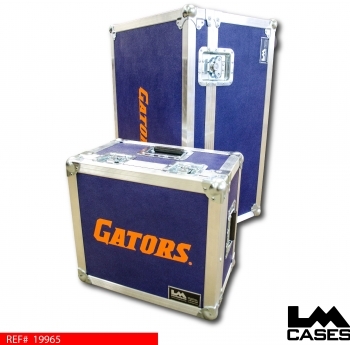 These cases were designed for the University Of Florida's WUFT TV. 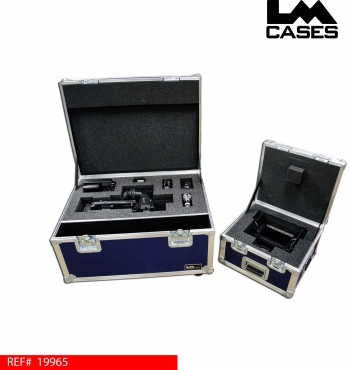 The cases feature custom cut CNC foam inserts to store the individual components that make up each equipment set. Each of the cases are built from 3/8" plywood laminated with blue ABS plastic and silk screened with the orange Gators logo. 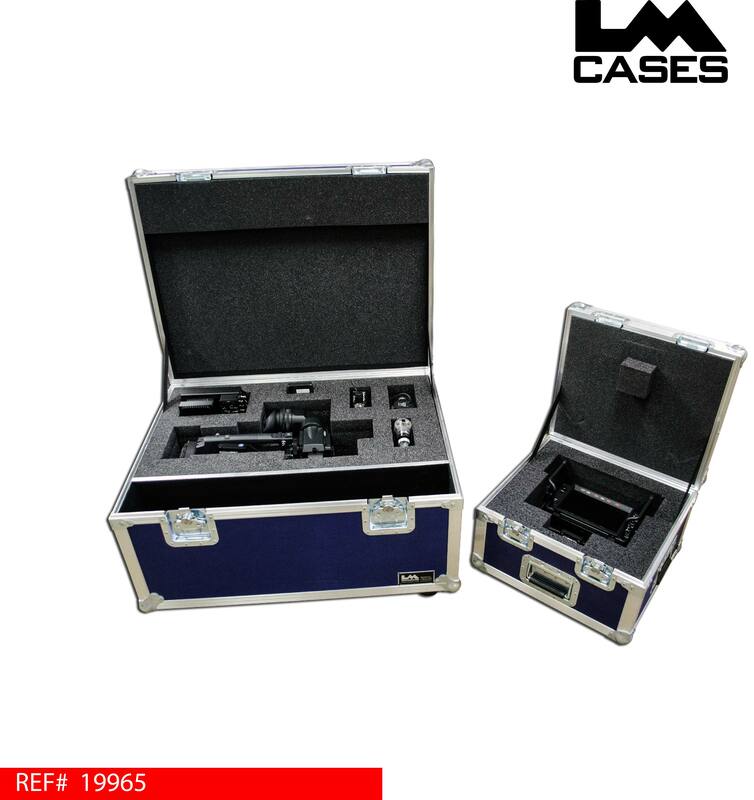 The CNC cut foam insert in the camera case holds everything from the camera itself to the control boxes mounted on the tripod arms. 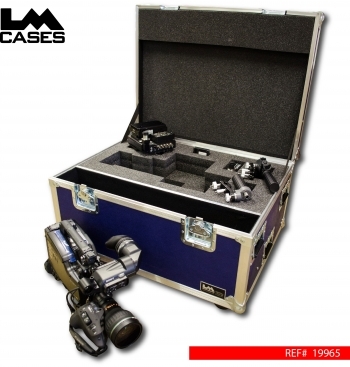 Each of the components that go with the camera and viewfinder were measured by the LM Cases design department and placed in the insert to ensure the best and most exact fit.